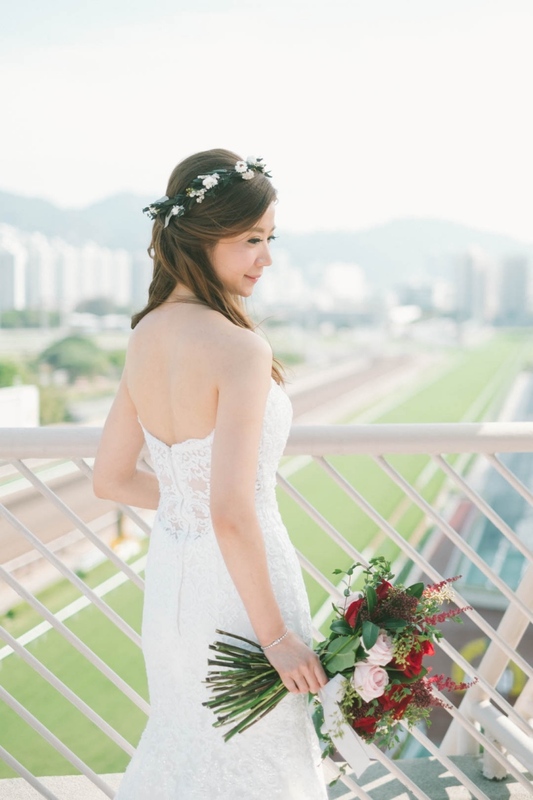 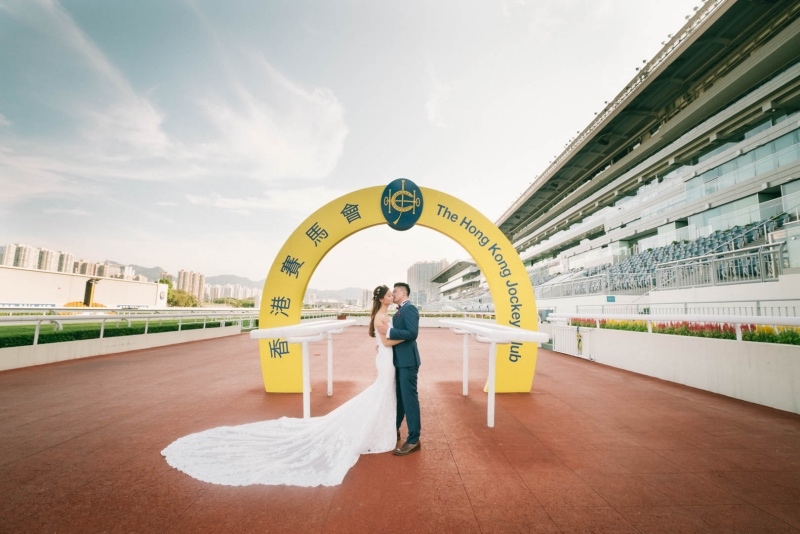 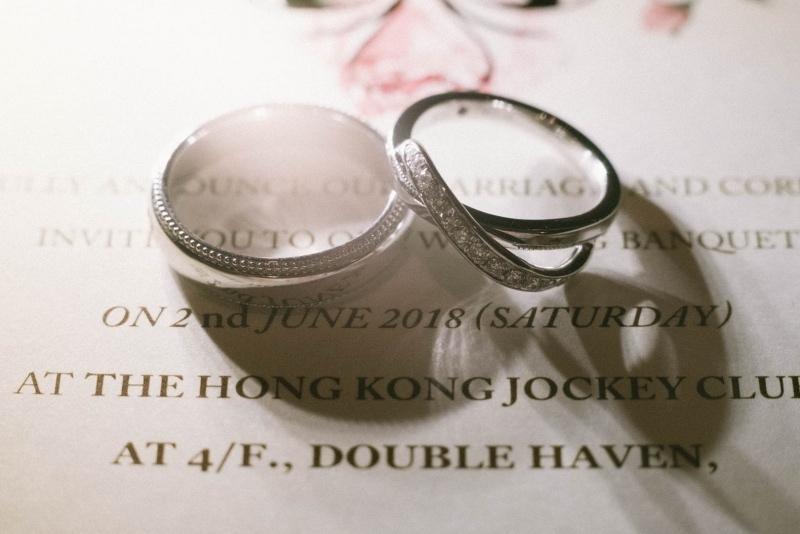 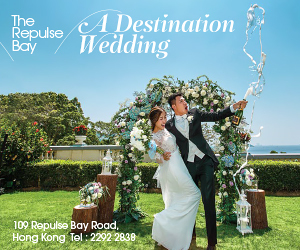 Today, let’s go to the racecourse not to see which prized stallion will be winning the race, but to witness a wedding at The Hong Kong Jockey Club in Shatin. 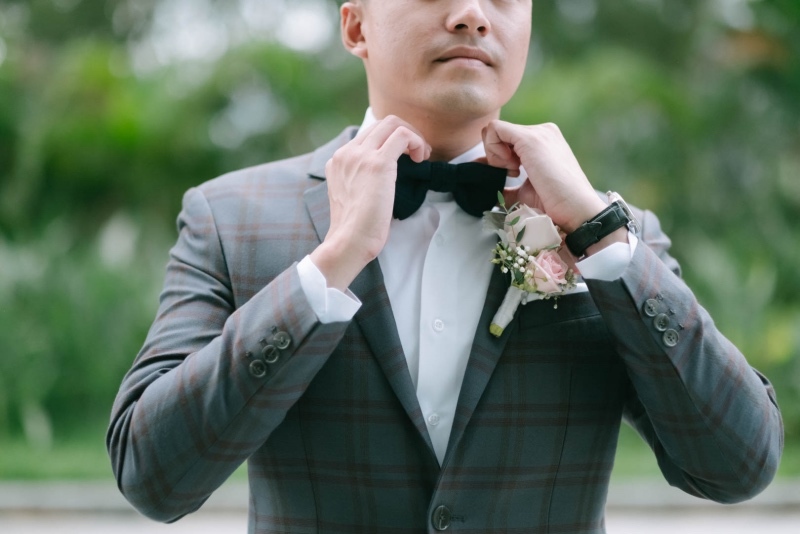 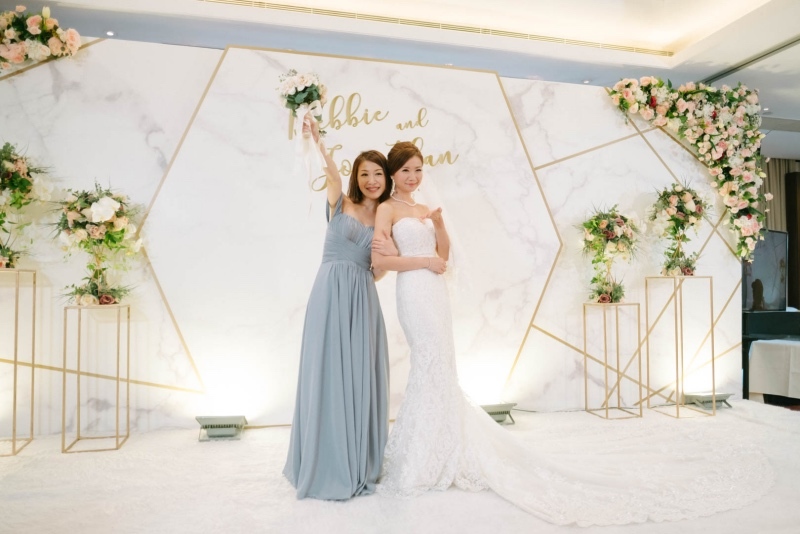 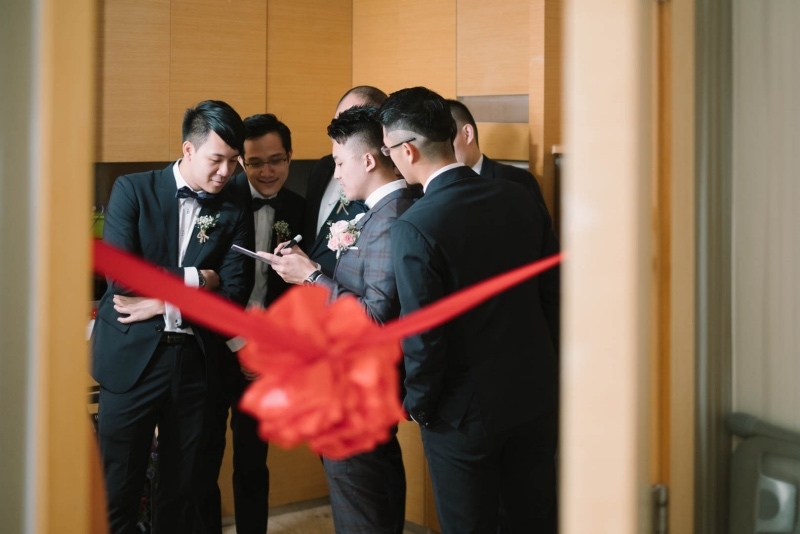 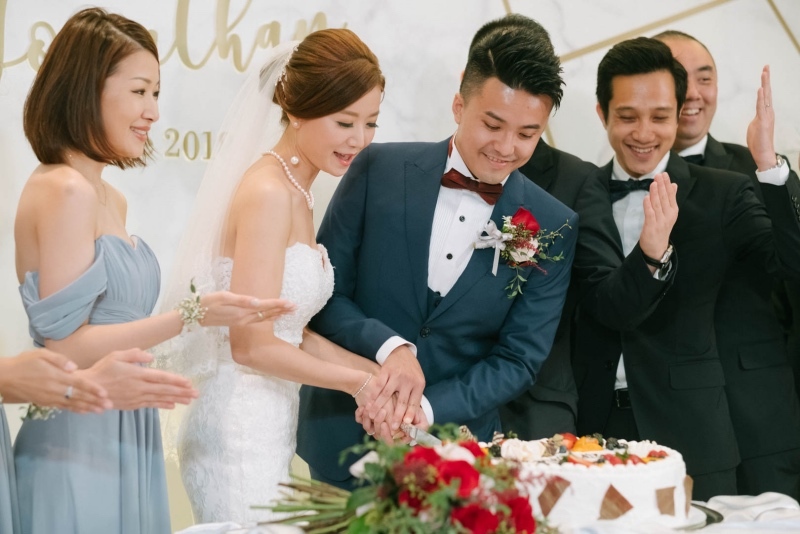 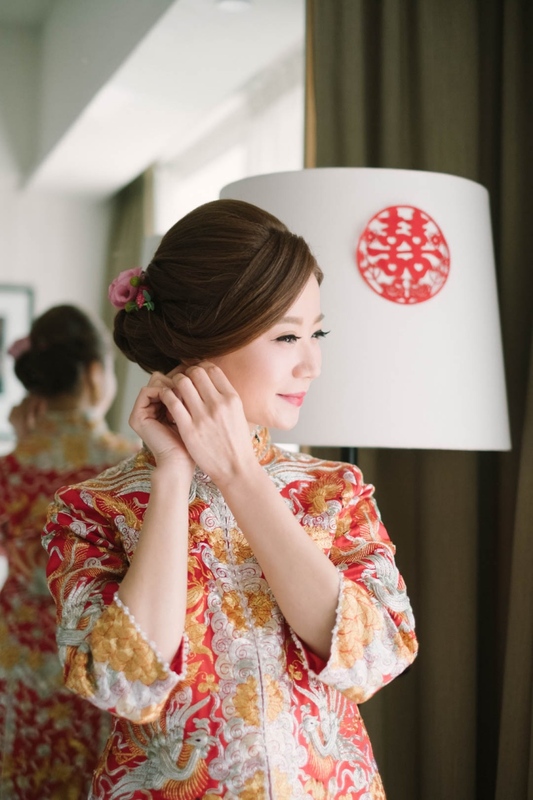 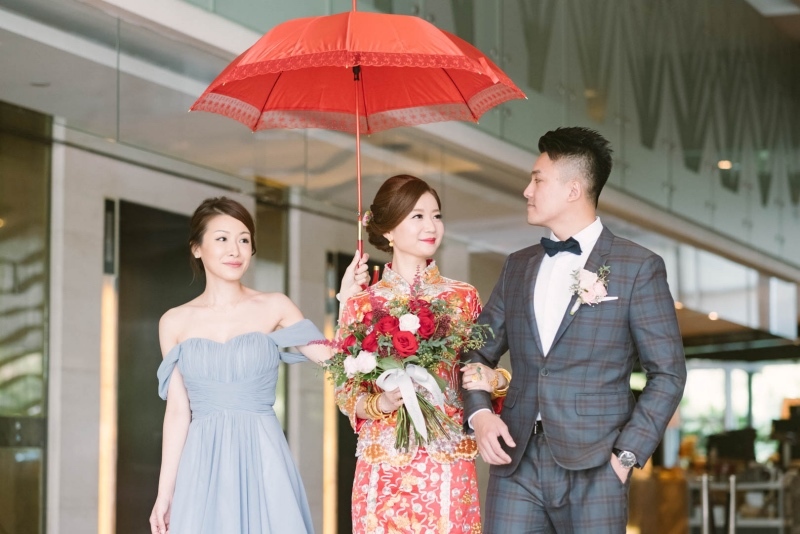 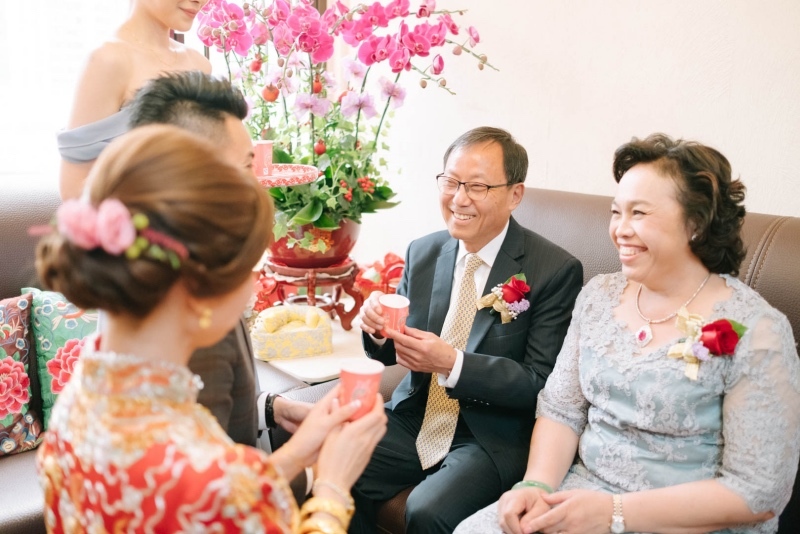 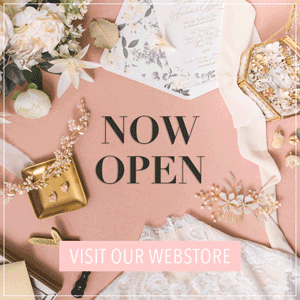 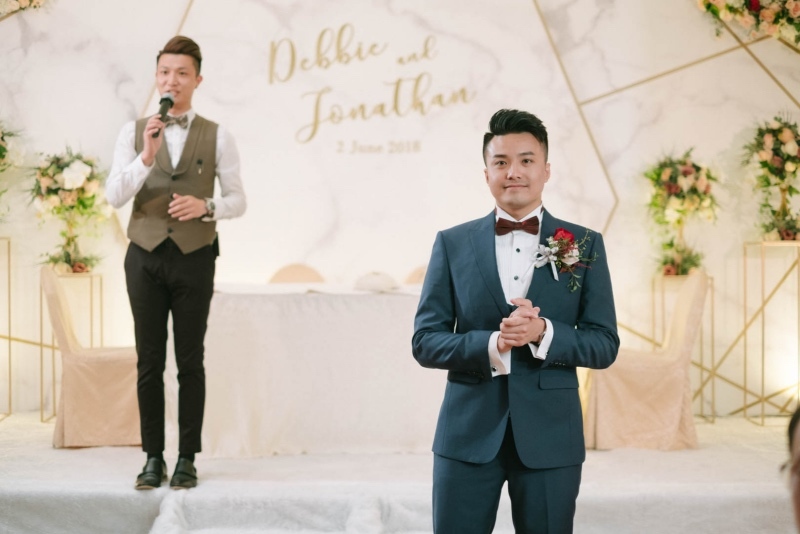 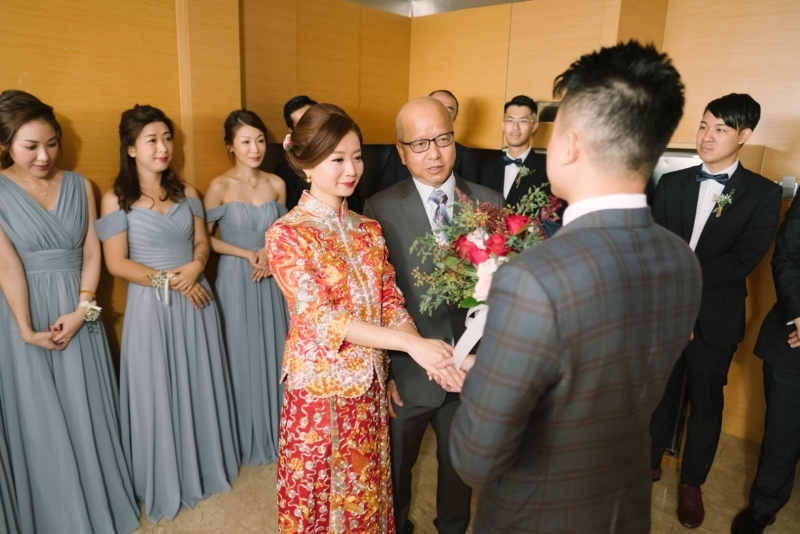 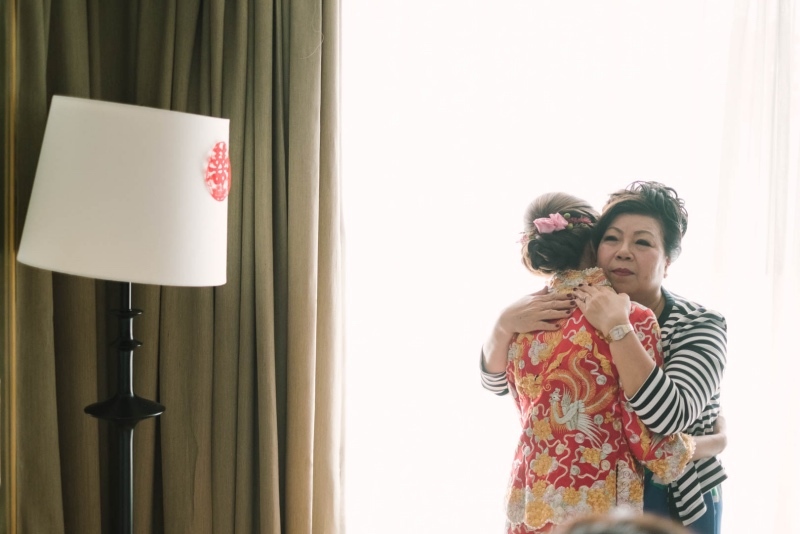 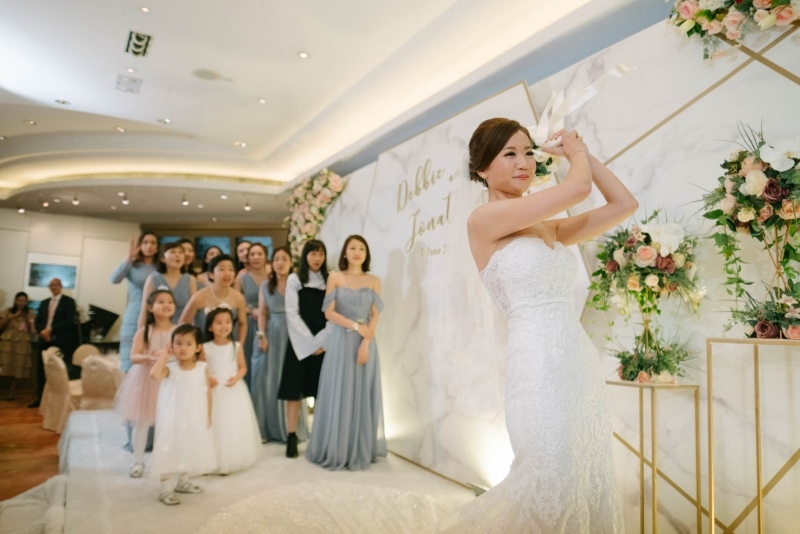 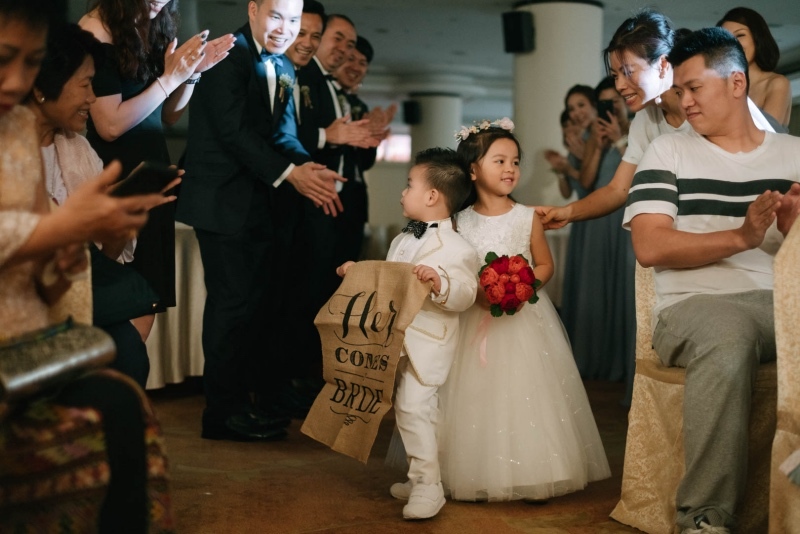 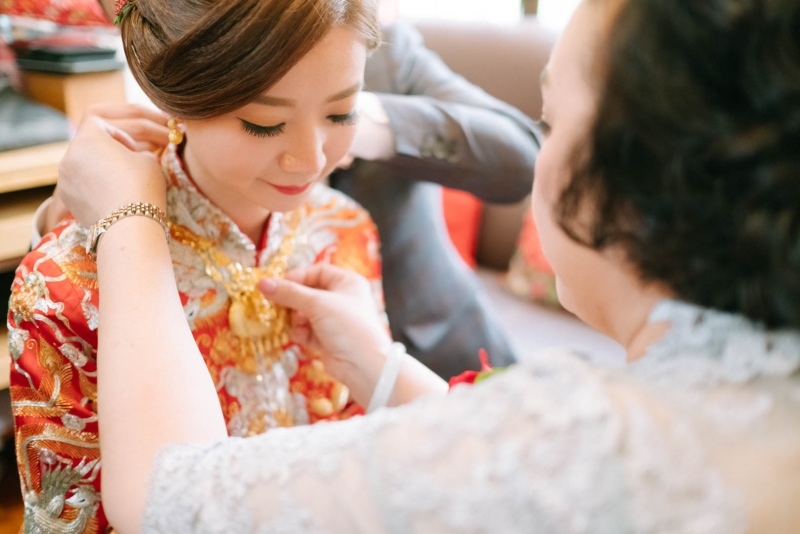 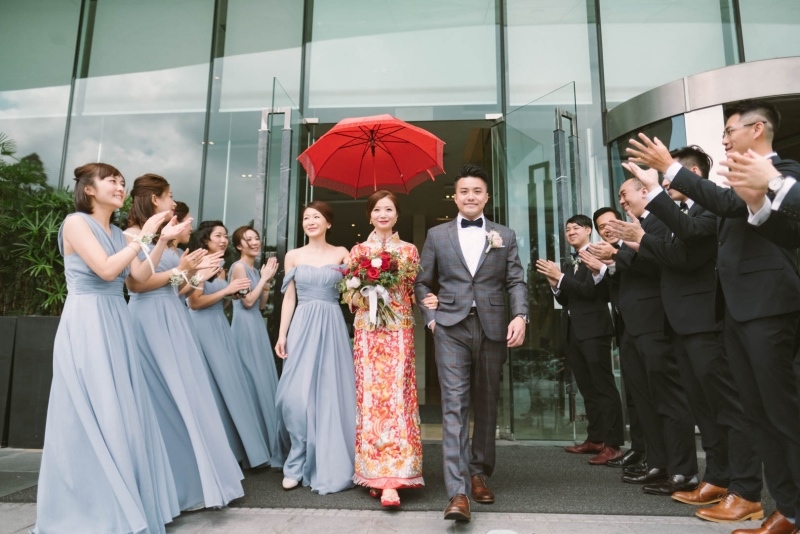 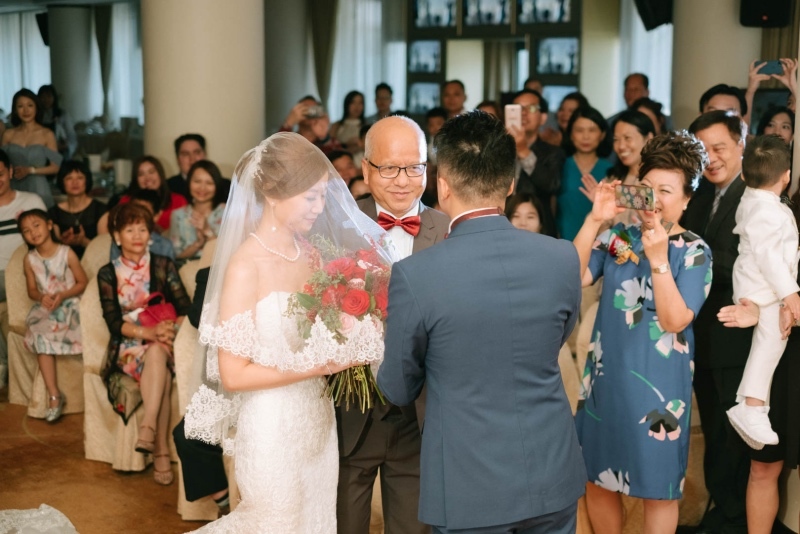 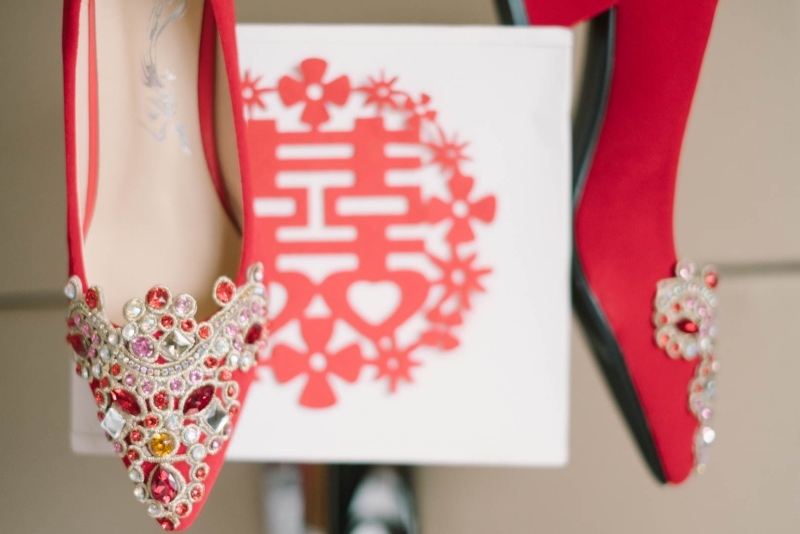 In the classic and traditional union of Debbie and John captured by StevenC Photography, Chinese traditions were kept simple and understated but if you observe close enough, you can tell how much they are loved by their parents, friends, and loved ones. 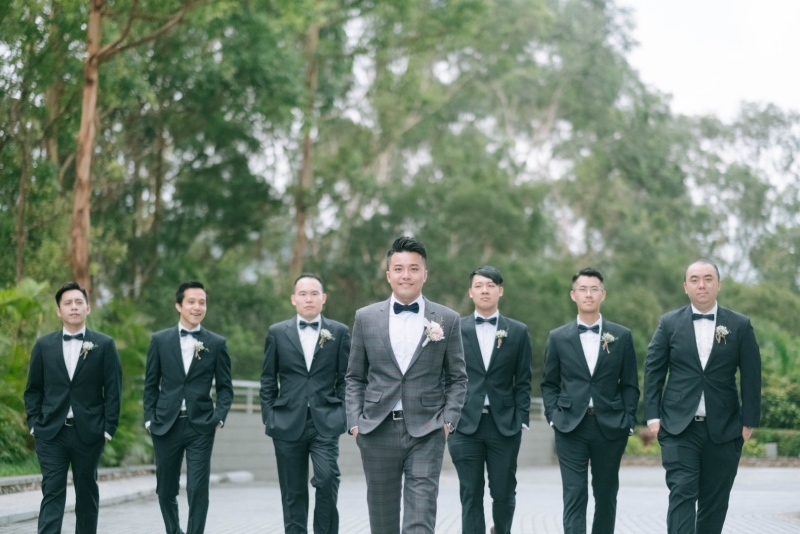 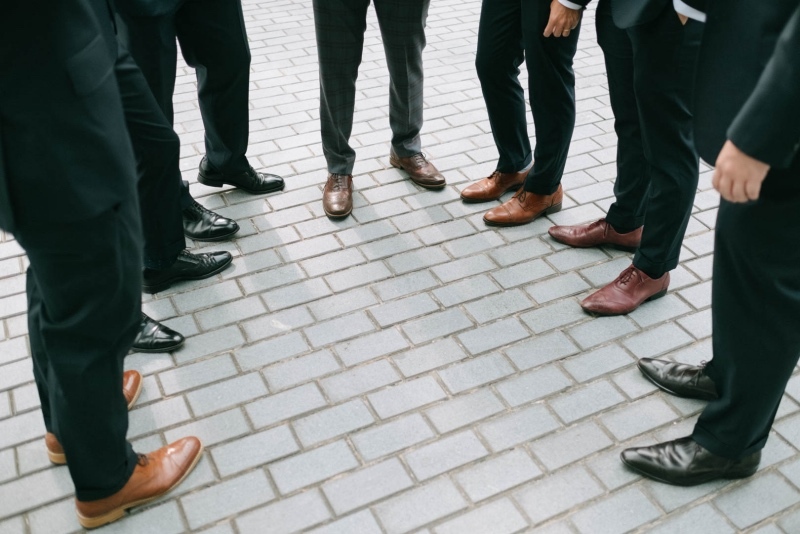 Debbie’s bridesmaids were dressed in dusty blue dresses while John’s groomsmen looked extremely smart in their classic black suits. 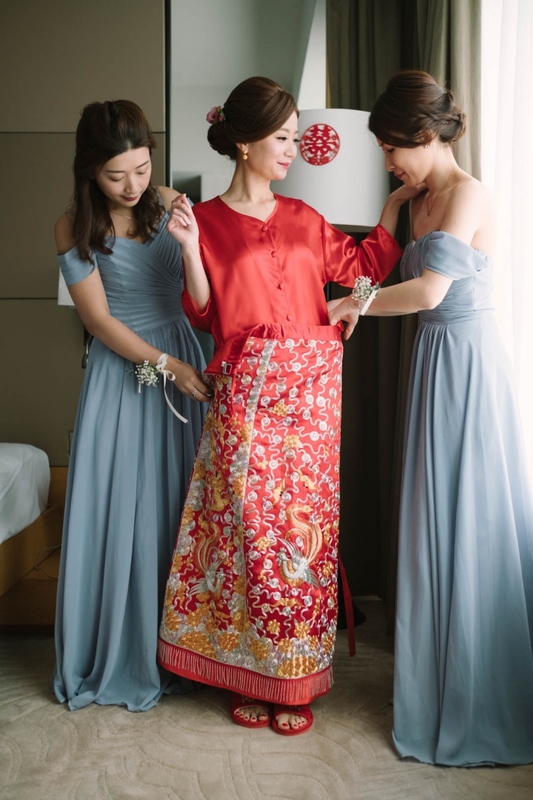 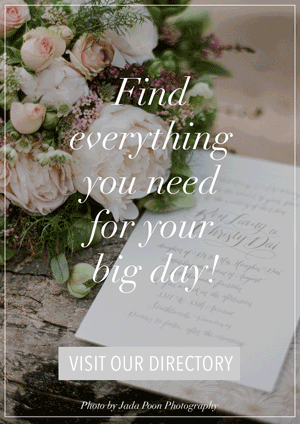 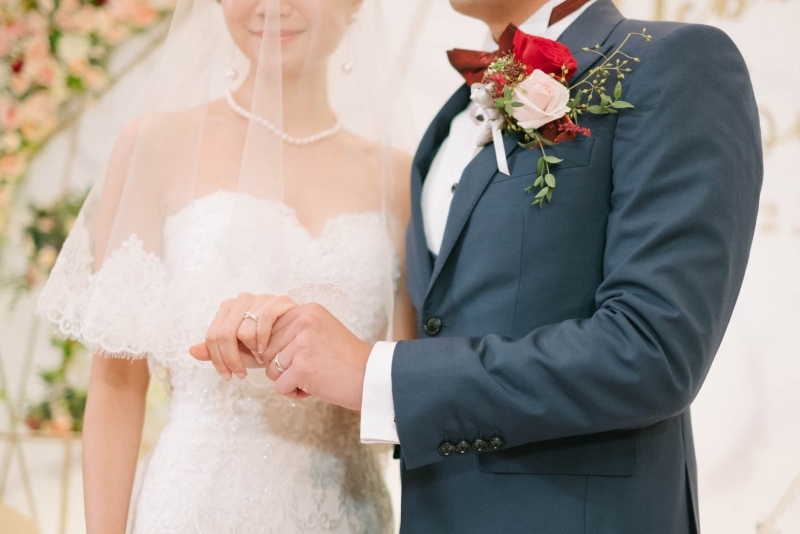 With flowers in rich shades of red for the day, to light peach hues for the wedding banquet, it was a wonderful transition of colors everywhere! 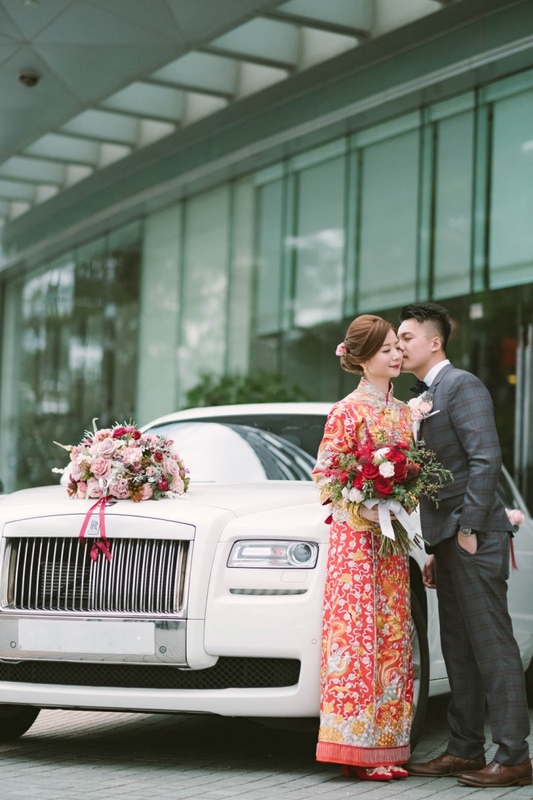 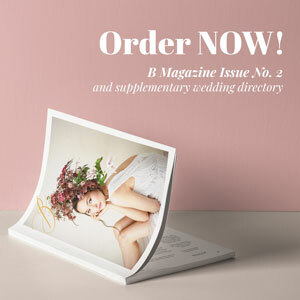 Scroll through this set of photographs to see how the couple combined traditional customs with modern touches now!